Guys, I cannot even begin to explain to you my saga of trying to find the perfect throw pillows for our living room couch. My husband has picky taste, I have picky taste: It's a lose-lose every time. A few months ago, when I finally sold him on some velvet pillows, they came, they looked awful, and so they went. To make do, we got these kinda junky orange linen pillows from IKEA that have already taken a beating. 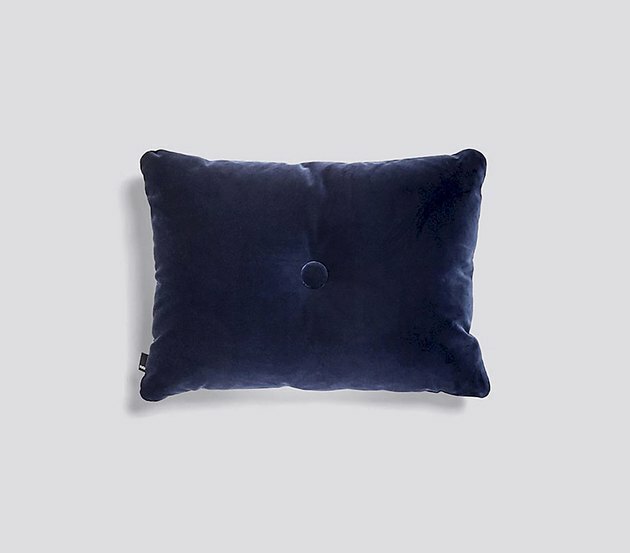 I think we've finally found the answer in HAY's Dot Pillow, which feels like it can fit in naturally on pretty much any couch — but isn't entirely generic. 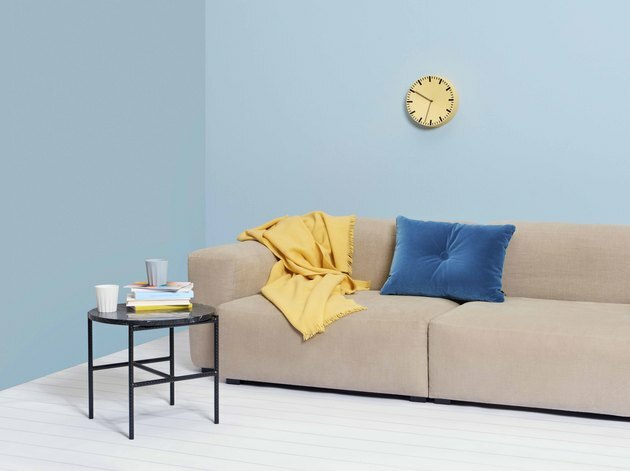 (BTW, HAY is our favorite Scandinavian home brand, and you can now finally get tons of their stuff online.) 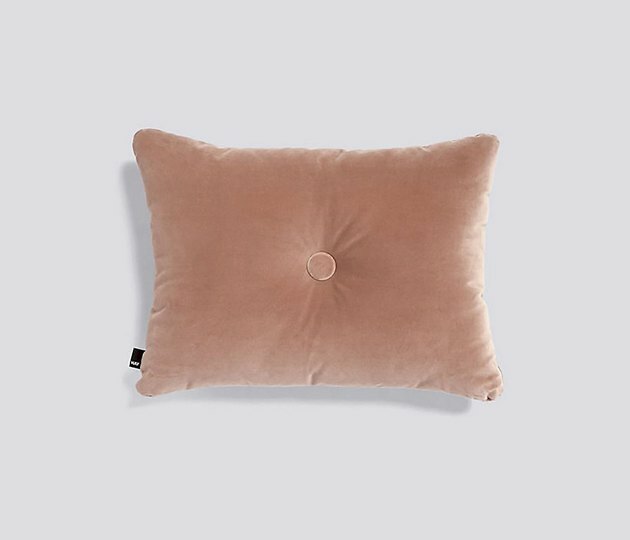 It goes to show you that the slightest variation in design — something as simple as a fabric-covered button and a nonsquare shape — can make a pillow go from boring to oh huh that actually looks really classy. Of course, the velvet material has me sold. But now the issue is picking the right color because the options are just so good. There's a silver-y beige that would look great paired with the darker gray; a dusty pink that isn't too feminine; a lush forest green; a vibrant sky-blue; and a nice navy (always a crowd pleaser). The price point ($95 each) is a bit higher, but not entirely ridiculous for finally finding the cushions to define our space for the next few years.